This is the latest cover of The New Yorker. 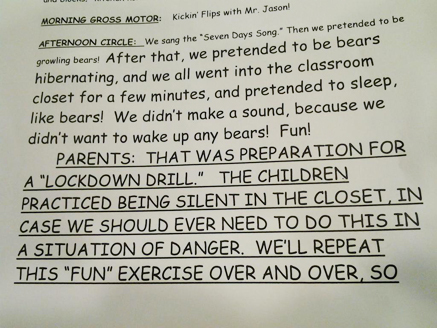 A heartfelt and moving illustration of what it feels like to send your kid to school in America after the Newtown tragedy. 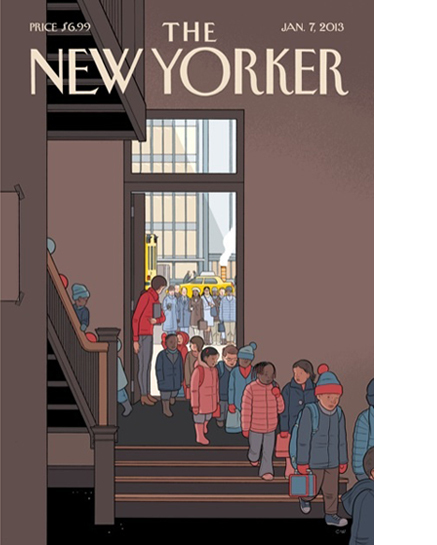 Chris Ware, the illustrator, has written a fine post here, explaining his point of view, which is particularly acute, given that his daughter is school age, and his wife a primary school teacher. But what makes the work even more resonant, is that it’s a mirror image to the cover he produced a couple of months ago. Here, he jokingly points to the free time parents are assumed to get once they’ve taken their kids back to school at the end of the long summer break. It’s a brilliant illustration, but as he says in his post, it doesn’t seem so funny anymore. The New Yorker remains one of the greatest magazines in this world or any other. For me, the genius starts with the title. New York is truly a world city, with the most polyglot population imaginable. Along with the movies, the TV shows and general mythology, I believe this makes it possible for anyone to carry a little bit of New York with them even if they have never lived in the city. The cover of The New Yorker is a simple enough proposition, but for me, it works on several very deep levels. The image is always an illustration. This requires the viewer to do some work to interpret the imagery. As such, it is a more thoughtful, reflective way of seeing the world. But the opening of our minds then allows the only words on the cover, The New Yorker, to really go to work. I see this title as the caption to the image. 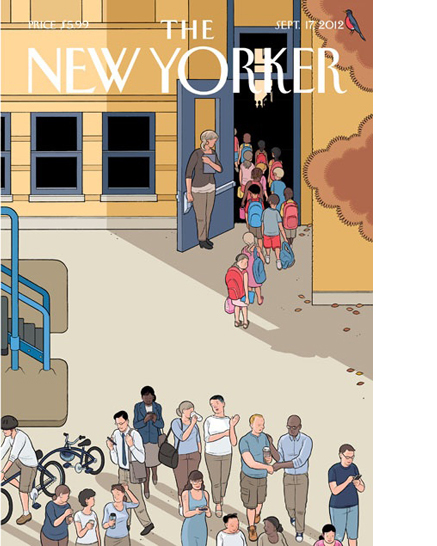 Which, in the absence of any other coverline, means that everything, and everyone in the picture is a New Yorker. But, if we can all regard ourselves in some small way as a New Yorker, this means we are, in essence, looking at a reflection of ourselves. The use of Comic Sans couldn’t be more ironic.